Our artists are experienced at creating illuminated structures for parades and festivals and have developed ways of using renewable and green energy to power our lighting and special effects. Working alongside friends and families, learn the traditional craft technique of making processional lanterns using willow and tissue. These beautiful structures can be made by all ages and abilities, and can be used to bring an ambient glow to an evening event. 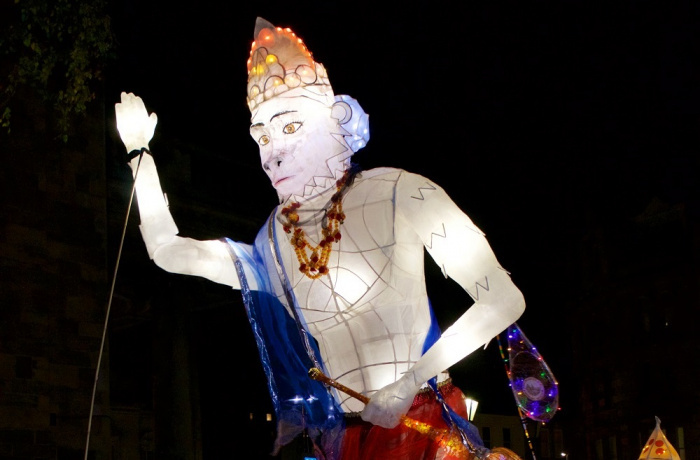 Over the years Festive Road has been involved in a variety of different night time events including lantern processions, Christmas Festivals, Diwali celebrations, and more....!